There’s a new benchmark for affordable luxury in Canada. The all-new 2018 Mazda6 sedan has arrived at Yarmouth Mazda, and it’s one that you have to see to truly appreciate. Everything about the 2018 Mazda 6 is a step forward – technology, power, efficiency, even looks. Depending on what you want and need, one of the five impressive Mazda6 trims is sure to fit your lifestyle. Here are some of the Mazda6 trim level differences, courtesy of Yarmouth Mazda. You’ll be pleasantly surprised with the ‘basic’ equipment in the 2018 Mazda6 Sport. But this isn’t an entry-level car, folks. The Mazda6 Sport comes standard with self-leveling LED headlights, LED daytime running lights, Blind Spot Information System, and 17-inch alloy wheels. Under the hood is a 2.5-liter SKYACTIV-G 4-cylinder engine with 187 horsepower. Unlike most midsize cars, you have the option of a 6-speed manual transmission or a 6-speed automatic with Sport mode. 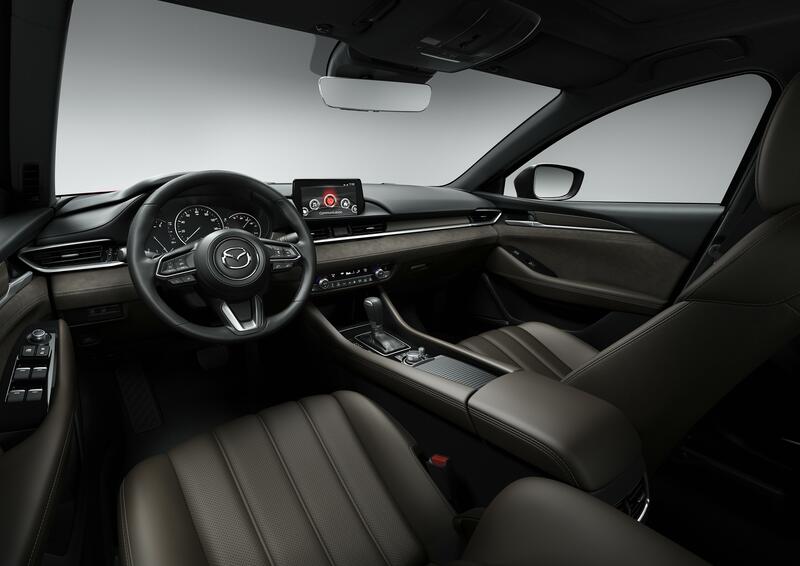 Inside, you’ll find push-button start, an electronic parking brake, cloth-trimmed sport seats, a fantastic MAZDA CONNECT infotainment system with Bluetooth phone and audio capabilities, voice command, Mazda’s Multifunction Commander control, and an 8-inch display. A rearview camera, Blind Spot Monitoring System, Rear Cross Traffic Alert, and Smart City Brake Support are all standard in the Mazda6 Sport. Jazz it up with the 2018 Mazda6 Touring trim. Upgrade to 19-inch alloy wheels, rain-sensing windshield wipers, a power moonroof, and Mazda Advanced Keyless Entry System. Interior details are more refined too, with leatherette-wrapped power and heated sport seats, Mazda Radar Cruise Control with Stop & Go, Lane Departure Warning, Lane-keep Assist, and more. The engine is the same 2.5-liter SKYACTIV-G 4-cylinder, and all Touring trims have the efficient 6-speed automatic transmission as standard equipment. For those who love to drive, the Grand Touring is thrilling among Mazda 6 trims. It packs a 250-hp turbocharged SKYACTIV-G 2.5T 4-cylinder under the bonnet and does so with very little compromise on fuel efficiency. The interior ratchets it up a notch or two also. You’ll get a leather-wrapped steering wheel with paddle shifters, Bose Centerpoint 2 Surround Sound with Audiopilot 2, SiriusXM Satellite Radio, and Mazda Navigation System as standard features. When you demand a high level of comfort and style, dip into the Reserve. It comes standard with awesome new features like a rear decklid spoiler, windshield wiper de-icer, 8-way power driver's seat with power lumbar support and a 6-way power front passenger seat, ventilated front seats, and heated rear seats. You won’t want to pass up two additional tech features found in the 2018 Mazda6 Grand Touring Reserve - Full-color Active Driving Display with Traffic Sign Recognition and Adaptive Front-lighting System. It all adds to a luxurious in-car experience without breaking the bank. 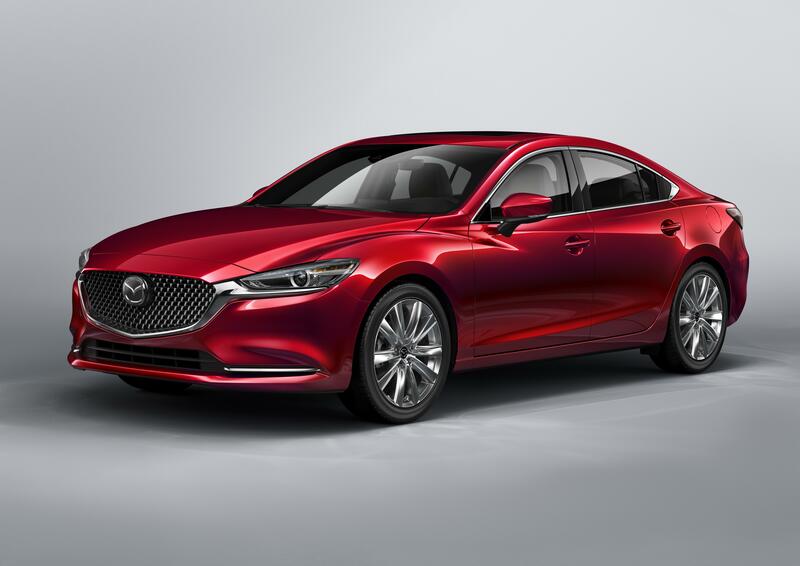 One of the five awesome 2016 Mazda6 trim levels is going to fit your wants list. Find your new 2018 Mazda 6 in Nova Scotia on the Bay of Fundy at Yarmouth Mazda.